Removing Liabilities, Limitations and Excuses in the service to Arizonans through the Independent Party of Arizona. 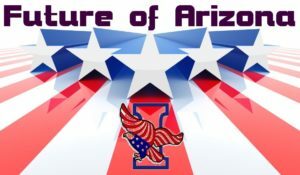 Several years ago the Arizona Chapter of the American Society for Training and Development held its annual conference with the theme – Challenge to Change: Removing Liabilities, Limitations and Excuses in the Workplace. It was the touted as the best leadership conference in over a decade. We want to apply that philosophy appropriately toward the State of Arizona. Making Sense Common… what does that mean? When all the biased, personal and corporate profit-driven agendas fall away, what truly needs to be done emerges… and the truth shall become self-evident. This self-evident agenda, one that creates harmony among people and planet, is our mission to discover. Let’s restore the Faith, Love and Trust we have in our humanity and ability to work together – a new millennial mindset. The secret to change is to focus all of your energy, not on fighting the old, but on building the new. 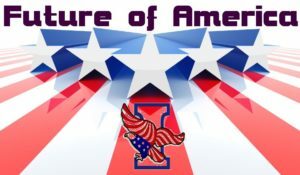 The Independent Party of Arizona bridges parties as well as cultural communities and is what America was set up to do. 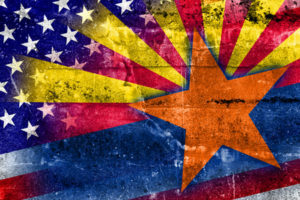 Arizona has the golden opportunity to set the standard for coalescing multiple concerns and factions toward a cohesive and collaborative administration. The result of such would change the course of current deficits and inability to serve our population in so many ways. It would also catapult the use of alternative energy production through the combined efforts of communities and commercial development. Our state is ripe for developing carbon sequestration efforts using horticulture solutions such as hemp or kenaf, proven carbon sponges with low water requirements and cash crops that have high commercial value. Bridging proven alternative and/or holistic health care programs and insurance providers will ultimately bring health care costs down and reduce costs for the State and YOU. A serious look at the fiscal policies and organizational waste of the State is imperative, with savings that could easily be in the tens of millions of dollars. All it takes is making sense common. It is time for the Independent Party in Arizona to create seminal views of administering resources and demonstrate what collaboration and partnering can really accomplish! Arizona can lead the way, rising from the ashes because we know what is possible – people, places and things aligning for the good of all people and our environment. The Independent Party is NOT recognized by the State of Arizona – yet. It is our mission to have the required 20,086 signatures and validations of them by April 1, 2018. August 28, 2018 (Primary) will have the Independent Party of Arizona on the ballot. Help Get the Independent Party Recognized <–CLICK! We can start in Arizona by changing the state of our State and demonstrate we are not willing to remain at the bottom of the educational ranking in this country. We can demonstrate that our production of food and textiles is not hindered by our climate and can even be part of the carbon sequestration solution. We can demonstrate that Arizona’s alternative energy production equals and/or exceeds traditional methods. School funding and teacher retention is a critical issue. We can find answers and implement solutions. Wind and solar farms are a big deal today, creating a cleaner future. Arizona is ripe for high-level solar power production. We can demonstrate that our health care system can and does meet the needs of every citizen, including our veterans, without a burden. We can mobilize a public already receiving benefits. We can be the leaders, but we have to make the effort and learn how to work as one. That is our greatest challenge – to work in harmony for people and planet. We’re different. The Independent Party of Arizona will drive the future of politics, serving Arizonans and leading us toward a brighter 21st Century. It is painfully obvious that our country is in need of leadership that can move the public concerns to the top of the priority list and actually serve the people. Those concerns include healthy food (GMOs have been banned by many countries already), renewable sustainable energy (research shows that fracking and old carbon-based energy sources are destroying our environment), new millennial education (children need a holistic approach to education, not a test-driven performance outcome) and appropriate health care for all (cost isn’t an issue, people are the issue). There are ways to adjust and thrive in the new millennium, but the current system isn’t providing those ways. In just 6 (six) years the House and Senate can be completely overhauled – gutted, remodeled or renovated. It will probably take much longer – but it is possible with your help… each of US. No one is left out and everyone has a voice and a vote. 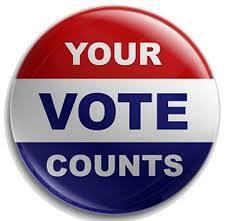 It’s time we exercised that right and made use of the power of the people. It is not an easy task by any stretch of the imagination. We don’t need a civil war again to take action and make things better. What other choice do we have? We are a peaceful, purpose-driven society that abhors inhumane treatment of others. Corporations have taken over and people have become inhumane towards each other. It’s time to stand up and live the dream – independence for all with a sense of harmony among people and planet. In this way independence becomes interdependence and we all benefit, together as a United States of America. Then we can truly lead the world. Relating to the Independent Party of Arizona, of course we think lofty goals are unreachable at first. How many times have we seen people of vision, even just a few, achieve the impossible? Disruptors and innovators are taking the planet by storm, changing business models and interactive behaviors for the better, developing global teams to address systemic challenges. We can do the same for creating a working government that is truly by and for the people. To an outsider, America seems pitiful in the way money and power rule. At least in the way it is happening now. Everyone seems to be aware of the fiasco and scared to do anything about it. Fear rules and the population becomes diminished in capacity. We need courageous, ethical and moral leadership that commands respect by their actions, not by their money or power. Just begin thinking what that might be like. Now this is going to seem a little bit of a stretch for most of you. Most everyone is familiar with the ‘Law of Attraction,’ right? The eyeballs are rolling now. Okay, so there is a lot of hype around it, too, but the principles are sound – what you think and feel strongly you will attract. Consider applying that to the situation at hand. Intend that the right people doing the right things come forth and find support from the masses. Quantum entanglement, spooky action at a distance as Einstein called it, is a real thing. Science has proven that electrons can be excited in the same way at a distance. Protons, neutrons and electrons are the building blocks of the material world. We have a mind, consciousness in embryo if you will, that science is proving is more powerful than we can imagine, yet it is our imagination that lacks power. Mindfulness and meditation has been proven to cause a beneficial effect on populations, for some time. With just a little stretch of the imagination, these profound effects can be engaged with a larger population, like America. We often think we need to ‘do’ something and yet ‘focused thinking’ is actually doing something. This country is still a huge experiment. Scientists at Los Alamos found out decades ago, a half-century actually, that their thoughts affect the results of their experiments. We usually don’t think about thinking, our thoughts run rampant throughout the day. Most of us aren’t disciplined enough to pay attention to how we think, let alone what we think. What if we were? We’re asking that you just have a moment of clarity occasionally, intending for the future to be better and the right people coming forward to help the process. This one small effort can and will have profound effects on the future. In the next few years, we will see marked changes in how people interact, what they accomplish and the ease of which it will happen because we are all anticipating it. If you really want to be helpful, take action on the part of the party, then we need signatures to get the Independent Party on the ballot. Here’s how you can help. Join Us Now… Thanks in advance. Near-Death and Spiritually Transformative Experiences begin with synchronicity in most cases, the kind that just cannot be ignored. That is the first clue that you are being put on notice, if one is paying attention. It is the desire to connect more deeply to ‘reality’ that fuels the machinery of manifestation. If you listened to the audio intro, please be aware I like to play around even in the seriousness of the topic. The areas of concern here include near-death experiences (NDEs), spiritually transformative experiences and other kinds of ‘contact’ that have been on the leading edge of conscious evolution, yet have found too much skepticism from traditional professionals. A huge area of service delivery remains open and unaddressed, let alone serviced. I spoke at the International Association for Near Death Studies (IANDS) annual conference in 2010 about my introduction to the Light and beyond. It’s on YouTube if you care to search. I’ve written a number of books regarding the topics as well as earned two Master’s degrees in Business. I’m not ashamed or reluctant to say I’ve been a contactee since childhood. In sharing I’ve suffered the normal incredulous comments, gazes and rejection of folks across the gamut of personal and professional realms. I’m actually quite outspoken because my experience is solid, including garnering the wisdom beyond the experiences. I can help you do the same. You can reach me by clicking here. I’ve managed to have some fairly demanding jobs as well as earn two master’s degrees in business, which is not common among experiencers. I am a certified hypnotherapist and went on to earn certification as a transformational life coach as well. I’ve got the tools and I know how to use them to garner the best results for you. Over 40 years of contemplation and personal tools are included, along with journal prompts (gets you to examine your view) and some powerful exercises that help to move the mind beyond chaos. Now the terms abductee and contactee are used mainly in the ‘Ufology’ community while the near-death and spiritually transformative are used in more clinical environments, sometimes associated with the study of consciousness. Necromancy, mediumship or psychic readings fall into yet another category. They are all connected. Each has its inherent challenges with the ‘experiencer’ and expertise to help one find balance of any kind simply cannot come from anyone outside the direct experience of such events. If you haven’t watched the IANDS presentation regarding these very elements of interconnectivity and the transcendence of consciousness, please do so. I mention abductees, contactees, near-death experiencers and spiritually transformative experiences. Tom Campbell also relates the expanded consciousness experiences in left-brain terms through My Big TOE and many interviews on YouTube. Some help may be offered by traditional means, however the insights and intuition of a fellow ‘experiencer’ are priceless in the process. If you are open and willing, I can be a great asset. I’m available for groups, individuals by phone, Skype, Zoom and in person. If you live in the US and have a small group of folks that need help, my rates are very affordable. I’m a great facilitator for bridging worlds. If you are here now, then you have a sense of being led to where you need to go and to whom you need to connect in order to advance in your own growth and understanding. Asking the bigger questions or even just better questions can lead to phenomenal breakthroughs. Curious for more? Reach out. So why are you here right now? Can you see the breadcrumbs along the trail that guided you here? Just notice them for a moment and reflect on your awareness of the process. This is better than the Rabbit Hole and offers the opportunity to really Be Here Now. The book Be Here Now was my first real ‘connection’ to another that made sense. The answer to the larger question (why am I here?) I can help with through transformational life coaching and personal gifts beyond the ‘normal’ coaching modalities. I’ve worked with hundreds of folks over the years privately by ‘divine guidance’ (those who’ve just shown up and need help) and referrals from those who know my capability and concern for those who’ve opened up a can of worms they weren’t intending to open. Words won’t instill the trust one needs to share such intimate experiences, but at least they open the door to the possibilities that it could happen. People need to have the opportunity to grow and understanding their own nature without feeling like they are an outcast or social misfit because their experience is so different than most of the general public. I’ve been down these roads already, an ongoing contactee since childhood, and have the trials and tribulations to prove it. You’ll find working with me provides a safety net you might not know exists yet. Garnering the understanding of a larger perspective of life on planet earth is overwhelming to some, especially when they are among critics and skeptics that challenge one’s experiences. Responses to contact are as varied as the types of contact, but one thing remains consistent – we are controlled by our fears. The journey we are on entails the exposure of confabulation (skewed memories) and obfuscation (purposely making things unclear). The universe within us and around us has no secrets… no demand of our allegiance… yet it demands our allegiance if we intend to be the change and example harmony among people and planet in our lifetimes. Being authentic, caring and observant is a challenge in every moment, every thought and action. We often engage the circuitous defensive nature of the little self in our quest to be bigger, not realizing the Self (cosmically-attuned) is within reach and takes us to a much bigger playing field we were designed to engage. When one shows up as an example of an attempt to epitomize a ‘belief system’ they are often stiff-armed in an attempt to remain comfortable in personal deception or ignorance. We learn who to trust over time. Those that resonate tend to experience ‘chance’ meetings or ‘coincidental’ moments that help alleviate the confusion. Many experiencers find this kind of behavior [denial and rejection] far too often and need help dealing with the skepticism and the travails of living with the knowledge of a separate reality, or so many would have them believe. It’s sad to think that such behavior still happens in today’s world, but it does. I’m here to offer safety and solace. You can be who you are without feeling like you are under the microscope. I think it is safe to say that there is an awareness of cosmic consciousness condensed into form.. us. Each one of us has the opportunity to recognize our Origin – and to acknowledge that place of Origin in each other. The workbook ‘Cosmic Conundrum – Who Am I?‘ is all about discovery and exploration. As I understand it from my years of inquiry Jesus was a messenger of a new way and proceeded to be an example, not a Savior. In fact, he taught personal responsibility not abdication, claiming instead that each of us is god just as he was, the Dead Sea Scrolls revealed this statement to Thomas. After the Council of Nicea, organized religion became a business of bridging church and state (emperor Constantine’s credit), and a lot of good intentioned people have been deceived into the fear, guilt and shame game. In contrast, when I’ve shared my experiences I’ve often been rejected by the very folks that speak of such possibilities. I can’t tell you how many times I’ve had Christians tell I’m full of Satan or under the influence of the Devil. Instead of not answering the door when Jehovah’s Witnesses or Seventh Day Adventists are out proselytizing, I love to engage them in conversation. I’m saddened by the focus on a book and dead words when the living word resides in their hearts and they continue to ignore it. We all have moments that encourage us to continue, especially when we experience doubt and pain. Jesus helped me to rise out of some serious pain just after a divorce and maybe this sharing can help you too. Often we have a tendency to stiff-arm experiences that are beyond our current level of understanding. The belief and faith in a living being that transcended death was given awareness and direct experience of its truth on this day. Now how you will feel or sense the following might give you some indication of just how open you are to divinely inspired spiritual events. Many profess to believe or have faith, but when faced with something outside their experience and/or demonstrable proof of a living presence today – the first response is denial and rejection. It appears to engage cognitive dissonance. There is a great mystery still, understanding how ‘God’ interacts with creation and humans specifically. If we knew it all there wouldn’t be any mystery for us to seek. Doubt and skepticism are strong motivators in seeking knowledge, truth and/or wisdom. I had my own reservations about sharing my experience, let alone engaging it in the first place. I have a brilliant mind and voracious appetite for experience and knowledge, yet it all has to make sense from various perspectives or truth is still challenged to emerge in the light. We have our shadows, doubts and fears that our beliefs aren’t perfect or need to be challenged to make them come alive. I had to confront a number of internal conflicts I didn’t even know I had, just to be available to the experience. I was invited to attend a spiritual retreat with a group of folks at Woods Canyon Lake, a pristine lake at about 6500 ft. elevation on the Mogollon Rim a little south of the Grand Canyon. I was glad to join them not knowing what to expect, but definitely looked forward to the cooler weather. It was still in the high 80ss, but it was much better than the hundred and teens we left in Phoenix. There were nine of us enjoying a weekend spiritual retreat led by Ed Cox, an associate of Ray Stanford and founder of the Association for the Unfoldment in Man. It had been planned for months. I was asked to go just a week prior as I had taken up residency in the house the group used for their meetings. We stopped in Christopher Creek to unload our gear at the cabins that had been rented. Woods Canyon Lake was a few miles on up the road and we reached it just after noon. We found an area that was rather secluded, just off the end of the parking lot next to the lake. The lake itself covers 158 acres, so there is plenty of shoreline and secluded areas for privacy. We found an area with a fallen tree that was nearly 3 feet in diameter, a great bench looking over the water. The stump was clean and flat from the cut of the saw several years prior. We all sat down here. The facilitator, Ed Cox (now on the other side), sat on a stump and the rest of the group (except me) was on the tree trunk which parallel to the shore of the lake. The group was able to look out at the lake from their positions. I sat cross-legged on a rock at the end of the log facing the facilitator with my back nearly to the lake (pic to right). There was a small inlet to my right that offered a view of the lake. There was a breeze wafting the smell of pine around as we enjoyed the cool mountain air in stark contrast to the heat of the Phoenix Valley. Being in this natural environment was really soothing. As we got comfortable and began to engage our purpose for being there, Ed asked us to ‘act as if’ Jesus was in our presence. Interesting tactic, eh? I got excited instantly, feeling like He was always around whenever our thoughts ventured His way. However, inner turmoil surfaced immediately in most of the rest of the group. I could see it through their facial expressions. The silence was deafening for a bit. Several asked Ed how to speak to Him. I was amazed, dumbfounded and a bit shocked that none of the folks could bring themselves to a point of verbalization, let alone welcome Him into the surroundings. I sat there for a while just wondering how something this special could create such a chasm in one’s world. I’m not one to wait for long, so after a few moments I could no longer hold back and blurted out, “Try this…. HEY DUDE, GLAD TO HAVE YOU HERE! LET’S PARTY!” Obviously a little over the top and, well, Ed didn’t care too much for it either. He grumbled a moment and I could tell he was a bit saddened that the ‘experiment’ didn’t produce better results. After a few moments of silence he suggested we prepare to do a guided meditation. He asked us to just close our eyes and take a few deep breaths to center and relax. It was so easy to just breathe and relax, allowing the quietness of the woods to envelope my senses. I had no idea what was about to happen. I closed my eyes, took my first breath and instantly a vision unfolded. I was looking downward and saw two well-tanned hands come around from behind me at the level of my solar plexus. I felt like I could have touched them, they seemed so real. One held a piece of dark bread; the other grasped and ‘broke’ it. Before I had a chance to question the scene, instantly a brilliant light shone from above and just in front of me. With my eyes closed still, I looked up to see Jesus just meters away, a few meters off the ground. Every molecule in my being knew it was Him. It seemed like time stood still as I observed Him. Before I could think to ask any questions two rays of light came from his forehead and heart, joining in front of me and bathing me in an iridescent and effervescent feeling that went to the depths of my soul. I would have been quite satisfied with just having that experience alone. I cannot describe how transcendent if felt, totally embraced by a loving sensation beyond anything I’d felt – except when I entered the Light as a teenager. In the next moment He began speaking to me directly. “I would like to speak through you,” He said. Immediately the mental battle began to try and deny the experience because I was ‘unworthy.’ My mind echoed the words of my adoptive mother, a month prior, warning me about ‘channeling.’ Here was the ultimate connection, right in front of me. What could I do? How could I be sure? Everything in my being was telling me this was real beyond any doubt, yet I was overcome with it [doubt]. I broke down and cried like never before… feeling all the pain I had suffered from adoption, betrayal and divorce welling up from inside that cache of unhealed emotions we carry throughout our lives. I had never felt that depth of crying, like I was purging the very depths of my suffering. It was excruciating as my gut wrenched in this sensation. Then, as if by magic I felt it release. I chose to let go of my doubt and fear, sensing that this was one of the most important moments of my life and I better be fully present to experience it. I simply ‘had’ to let go of whatever was holding me back no matter what, as if my life depended on it. After a few more sobs I took a few deep breaths and relaxed, opened my mouth and simply let go. It felt so weird, like I was leaping off a cliff not knowing I could fly. “Know that I AM with you always,” were the first words out of my mouth. Whew, that felt so great to hear. After a pause Jesus/I continued, “This one’s fear is great (I felt he was speaking of me).” I took issue, began to question him and felt a pleasant whoosh as we left the current scene and went to a place where He and I talked for a while, free of the rest of the group. I was still delivering a message, but didn’t need to be there to hear it evidently. I think quantum science guys would call this ‘non-local’ awareness or consciousness. I was totally unaware of my body as we talked. This may sound really odd, but he told me our fears were the same – of not fulfilling our Divine Mission. That is why my fear was great. I was his brother, from the same Creators. I was dumbfounded and knew this was news I could not share with anyone – especially after seeing the group behavior in a secluded environment away from judgment or persecution. It was amazing at how fast my mind was taking all this in. As if he were inside my head and a very real part of me. As soon as I became aware I was thinking about my mind and its perturbations, he chimed in with an explanation of his own battle – what we’ve chronicled as a 40-day and night battle with Satan. First, He told me that my understanding of where the name [Satan] came from was correct, the Greek ‘thetan’ – meaning ‘thinker.’ I found that out years ago when I was researching Biblical references and their Aramaic, Greek and Hebrew roots. It sounded so easily manipulated into the current name that no one challenged the change. Of course in Constantine’s time any questions were met with swift annihilation. Humans were steeped in ‘duality’ from superstitions developed about day and night long ago. They [superstitions] were carried forward in the consciousness of mankind and used by those who wanted to have dominance over populations. He knew he had to address those and found himself in the desert, battling his own thoughts about ‘common knowledge’ and the ‘truth.’ He relayed that there is no ‘devil’ except in the minds of humanity. He showed me some video vignettes (as best as I can describe) that highlighted some of the stories that we’ve been led to misunderstand throughout history. He confirmed much of what I’d questioned based on my own discovery after entering the Light and returning myself. I felt like I was on fire inside, like I was being consumed by this data dump of divinity. He showed me a few scenes about my own life as well, where I had trusted my gut in differing from the common knowledge, no matter how I was viewed as a result. He noted I had kept true to myself even at the risk of rejection. He went on to share examples of letting go and trusting in All That Is, feeling the LOVE, the limitless oscillating vibrational energy, all around us. Love frees the mind to join with the heart as ONE. So simple, yet so profoundly challenging. So my experience was an internal conversation with Jesus, smattered with video background (we can also call them ‘visions’), about some very important issues to me: authentic deep conversations and fear of failing ‘my mission’ here on Earth primarily. Jesus shared that our fears were the same and that to anchor in the feeling of LOVE, limitless oscillating vibrational energy, fends off all fear. I simply needed to ‘let go’ and trust…just trust and allow. I saw several examples during the process; short ‘visions’ of how things had already done so. It took me back to the ‘white light’ experience I had as a teenager, bouncing back and forth in my consciousness in this present moment. There was a sense of completion and I paused in my thoughts. I didn’t have the desire to speak for several hours afterward. When asked a question or someone tried to engage me, all I could do was utter a ‘mmmmmmm’ sound as I was still feeling the feeling of total love and union. The meditation produced very profound things, bringing us all to a new understanding of what Jesus meant by, “Know that I Am with you always.” Indeed, He took me by the hand and led me toward the promised land. I am so blessed to have had that experience and to feel the presence of knowledge and wisdom beyond our human frailties. The prevailing feeling was that Jesus was REALLY THERE! The entire group sensed His presence and some even swore they saw Him. Imagine what it would be like to have that opportunity? We do. We have it every moment that we choose to focus our attention on our Elder Brother. From what I gathered, He had a similar discourse with the group regarding the ability we each have of letting go of our doubts and fears. He did make a distinction that religion has no hold on truth. Every human being has the potential of rising into conscious communion with the Divine. There is no ‘saving’ of an individual or human race by his sacrifice. We each are responsible for our actions and accountable to All That Is for our choices. What I got from the experience was a sense of utter surrender to All That Is, to God, to the Cosmos, to that limitless oscillating vibrational energy which we all are now, have always been and will continue to be. That feeling of connection to everything as ‘love’ is so very challenging to articulate, so we usually just bliss out. In our daily walk we have to balance the bliss with the checkbook, kids, school, spouse and work usually. It is often a challenge to leave our worries behind. I am still challenged daily to live in the faith and trust that each step can be defined from within the Kingdom. I am no one special, but it is my opinion that we, as a human race, need to move beyond the stranglehold our religious leaders have upon us now. We need to put the books down and raise our eyes to meet one another as relatives on Earth as one family. Paul wrote about the “peace that surpasseth understanding.” “Shanti” is the ancient Sanskrit word for the “Peace which surpasseth understanding.” Imagine having it all the time. Jesus message, for me, was that it is available all the time as “I Am with you always.” I must make it clear that He was not about professing that ‘Christianity’ was somehow above the other religions. Quite the contrary. Religion has served to separate mankind. It is NOT what consciousness, albeit cosmic, brings to our awareness. Indeed, there is ONE Creation, but no one religion presents that we are all part of God – everyone. The only thing that keeps us separate is our beliefs, which are false in that regard. Anything or anyone that professes that separation is any part of God whatsoever is a False Prophet. We are One People on One Planet… period. Jesus and all those like him, of which there have been many, have attempted to get this point across to humanity from an inner perspective… the WORD is written in our hearts. We choose to allow others control and dominance over our lives… and we have been choosing in error. The BEAST is our MIND… Our bodies are all carbon-based (6 protons, 6 neutrons and 6 electrons) so materially, physically – we are all the same! “It is a number of knowledge and wisdom (science). Let he who hath understanding interpret the number. It is the number of man. That number being 666.” You can argue the point all you want. If you consider the concept of ‘we are all sons and daughters’ then from a perspective of ONEness, one creation if you will, it just makes sense that this kind of obvious simplicity is hidden in our very biological nature. It is not surprising that the information I’ve garnered from contactee experiences throughout my life echoes the very same notions that Jesus presented to me that day. We are all relatives, a part of the Earth Family, and able to rise in our consciousness to the knowledge, wisdom and , above all, experience of our connection with All That Is. 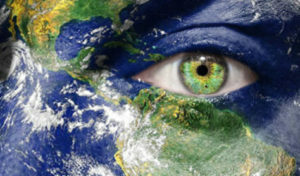 The ‘new’ living awareness will lead us toward a new world order of harmony among people and planet in our lifetime. In response to the confusion of transparency and the notion that the world is ‘just that way’ in how it seems to devalue others… I hear what you’re saying and let’s not get real or be honest is what it seems you are trying to convince yourself is okay. Let’s hide and not be free to be trusting or vulnerable with who we are and not care what others think. It doesn’t mean you blurt it out without provocation. It does mean that when you are asked a question that you reveal without fear of reprisal or restriction. It means that when you feel the subtle movement to speak that you do, but not from a place that is marginalized. That’s a mental construct that constricts the ability of heart-centered communication to be fully present in any situation. Recent discussions have revealed that perhaps a plan of appropriate action is deserved of implementation. Many of us have been observing and planning how to assist the movement of change through America and the world… for the better. I chose to engage education and the practicum of working with people, places and things to do stuff… a lot of stuff across many industries. It gave me a feel for people and process… protocols aside for the moment. I wasn’t sure how to move forward myself for a long time, but I produced an overabundance of stuff in the meantime including books, business plans, websites and more. The intended theme throughout them all was to benefit our society and the world in some small way… or large way if possible. I seem to be caught between the brilliance and insanity of the somnambulists amongst us. The logic of creating small nodes of community that find, filter and fund activities that promote advancing consciousness, critical thinking and sustainability of planetary progress necessary to feed, cloth, house and offer care for us all seems simple enough to understand. Core competencies can be defined as “a harmonized combination of multiple resources and skills that distinguish a firm in the marketplace.” I’d like to focus on the ‘harmonized combination’ of that phrase and extrapolate it to community and society status in general. What we have to date is, by all apparent signs, a discordant set of priorities and protocols that rule our lives in community and society as a whole. It certainly isn’t harmonized or even holistic in terms of how our administrative frameworks are being used. It seems we’re fighting for the right to decide what’s right for others instead of looking within at what is right for us individually. Our political system gets sidetracked by corporate greed and military spending and certainly does not function in the best interests of the citizens. The homeless situation in America is a perfect example as it includes veterans as well. It is the last thing we hear about in the news, if at all. I don’t want to point fingers, necessarily, as the rule of thumb is there are three pointing back. My adoptive father, rest in peace, taught me very young that if you are going to point fingers at a problem (people are never the issue, it is their behavior that is), then have at least three solutions to offer or keep your mouth shut. Such wisdom I found to be priceless as I grew up and yet its display absent in private and public environments. It seemed absurd that such wisdom wasn’t ubiquitous. Nevertheless, it is not. So, what do we do to rally the troupes, so to speak, in order to gather a momentum of positive change in America? That’s were I live and where I must start. Perhaps the same process and protocols may apply in other locations. Many years ago I read that America was to be the leading force in the new age of enlightenment. America, under the guidance of various forces of ‘light’ and ‘unity consciousness,’ was to be the way-shower for the world. America certainly has been a way-shower for activities; military, political and scientific programs that have not had the best of results for people and/or planet. American business endeavors have done more to pollute the air, earth and water than feed, cloth and house the world’s population by far. I get the sense I’m hedging the finger-pointing. I just wanted to establish a foundation of understanding of how things are currently that might find agreement amongst the majority. Now I’d like to begin to discuss the potential of possibilities to coagulate with relative ease. Now you might think I’m going to launch into some kind of spiritual rhetoric because of the mention of cosmic consciousness. Just the opposite is true, I hope. I want to get real practical with the concept of condensing into form and becoming aware of how the process might work. A perfect example might be to understand how to relate to the world without becoming entrenched in the emotional or mental perturbations that are ignited by those who attempt to move populations through fear-based propaganda. I posit that anything that acts to separate any individual from another is always fear-based, regardless of how logically or smoothly it is presented. A slick politician can tell someone to go to hell and get them to look forward to the trip; another bit of Dad’s wisdom. So what? What now? Change is slow. Initiated change is methodical, strategic and transformative. People, places and things come together for a variety of purposes and results. Sometimes they come together through intentional activities, sometimes they come together by accidental or unintended situations if you believe in coincidence, that is. The point is that those three elements are like the Trinity of Transformation; the electron, proton and neutron of the building blocks of the physical world. Our mental focus and strategic planning are only surpassed by the implementation of such and the unanticipated results that come along with the best-laid plans. The element of intention, our attitude during any process, can promote results beyond expectation… the magic of the event. It happens in consciousness first. How do we set that up to happen more regularly? I found Thomas Frey to be an adequate instigator, perhaps because he’s the record-holder for patents at IBM and turned the entrepreneurial world on its head with the early incubator-driven co-working space development or even that he founded the DiVinci Institute, a kind of futurist think-tank school after leaving IBM. He wrote a piece on starting a movement that offers a plethora of details to consider if one was thinking about doing so. There is a process for everything. We just have to do the due diligence and research to find and understand the process. It is much wiser to do so that just to launch into it without much preparation. I see that a lot with folks who get the urge to start a business or project and have no background in working with people, places and things to do stuff. They get a rude awakening when they realize that their dream can happen, but it will take a considerably more amount of work than they thought. So, the work… a movement. The cursory details for change comes with understanding what needs to change first. Then the how and who comes naturally, even within the scope and sequence of the Frey manifesto. We, as Americans, would like our political system to actually work for the people’s benefit. Those in play now have mixed agendas at best. So, we need to replace them with those who prove themselves to be of integrity and true service to their communities and constituents. Theoretically, the House and Senate can be remodeled in six years, according to the voting cycles now. Will that happen? Anyone seen a snowball in Phoenix lately? However, the components to facilitate that action can be put into place in about that time, resulting in the change happening in maybe 12 to 18 years. The ‘how to’ is pretty simple, but it will take an astounding amount of collaboration, coordination and resources. Notice I said resources, not money. We’ve been duped into thinking the money is the root of all power. People are the root of power. People are and have resources, skill sets and materials that can be rallied together to create local events that promote a variety of solutions for community development and restoration. Restoration can be fun, too. The whole package can be initiated within the framework of festivals, where enjoyment and fun are the focus and techniques can be taught that bring enjoyment and new life to project development and management. Natural leaders emerge and engage their community at new levels. Leadership is vetted over time and invited to step into leading roles as necessary and willingness is present. That’s it in a nutshell. What kind of nuts will we crack in order to get to the meat? We all wonder where the world is heading. We see many things that need changing and few who are engaged in the positive efforts that make change possible. Social entrepreneurship is on the rise. SEED SPOT, a Phoenix-based co-working and incubator space, is doing just that – creating positive change. They are doing it on multiple levels simultaneously through their leadership, mentoring and social-entrepreneurship programs that create jobs and benefit the community. When you walk into the space, an entire floor of a high-rise in central Phoenix, the first thing one notices is the sprawling work space area with the notable signage (see photo) front and center. It is the epitome of a collaborative environment where budding entrepreneurs and possibilities coagulators bring people, places and things into a new order that empowers each entrepreneur. The opportunities to stretch and grow, both personally and professionally, bring entrepreneurs and the help they need for launching and growing their business together in a wonderful symbiosis. The team includes CEO and Co-founder, Courtney Klein; Director of Entrepreneur Initiatives, C’pher Gresham; Director of Development, Tabitha Branscome; and Operations Manager, Corinn Perry, among others, who demonstrate that good things can happen when the right components can be brought together and shared openly. Their programs bring together community leaders, corporate supporters and mentors that provide an excellent foundation for business and community development. It is the author’s opinion that this organization is poised to grow exponentially. It is obvious from their success in the community that their leadership methodology is working. Truly, collaborative alliances are key factors in developing processes for positive change in local environments. No doubt over the next decade SEED SPOT will have a profound effect on Arizona. In order to change the current social architecture of our country, efforts like theirs are imperative to facilitate people, places and things toward positive change. This is just the beginning of a large-scale change in how business is done in America. It is also the opinion of the author that examples like SEED SPOT need representation in both large and small communities around the country. How fast this happens will depend largely on public support and local/national leadership that also aligns with the goals and objectives of positive change through rebuilding our economy with sustainable methodologies. These kinds of efforts deserve our attention and support. Our communities and country will benefit and demonstrate that America is truly a world leader for positive change. It has been questionable to date. Discoveries beyond the God Particle essay order with a seminal look at consciousness and the ‘decay’ presenting the particle’s possibility. TEMPE, Ariz. — The GOD Participle – a sub-atomic stroll in BEing explores science and spirituality in ways few encounter, both experiential and transformative, and concludes with another look at the God Particle. This is a great book for those who like to investigate awareness and consciousness beyond the norm. English is a wonderful language. The GOD Participle, BEing, takes one on an interesting journey shared by the author into realms few explore. We all have unique experiences that mold and shape our lives in wonderful ways, including the trial and tribulations of garnering wisdom in life. The GOD Participle explores both science and spirituality in an unexpected and perhaps seminal view, combining wit and wisdom for the new millennium. It concludes with an interesting postulation regarding the GOD Particle, the Higgs-boson, and its potential for new understanding beyond the supposed scientific discovery. Bruce ‘Zen’ Benefiel, MA, MBA – has written business curriculum, taught business plan development and facilitated micro-loans for women and minority-owned businesses. He produced and hosted over 100 television shows on personal development. Mr. Benefiel also facilitates construction partnering workshops for multi-million dollar projects. Get your copy today – Click Here! During this season we are particularly attuned to the attitude of gratitude toward the people, places and things in our lives. We set aside our thoughts and feelings of what is wrong with our lives and the world for just a moment in time. It allows us to invite a spirit of family and togetherness beyond our normal daily routines. In my coaching practice I encounter a consistent mindset that focuses on what is not wanted. Folks are dismayed by the events and people in their lives that seem to reflect these undesirable situations on a continual basis. We often shift this focus, through mindful practice, to that of an attitude of gratitude for those desirable situations that are always present, too. What does that do for the beneficial evolution of one’s life and/or perspective? Consider the notions presented by much of the material over the last decade or so regarding the nature of how we attract what we think and feel strongly. Some refer to this as the Law of Attraction, but the concept and philosophy has been around for centuries under different labels. Just take a moment and reflect, if you would, on how your life has been very different when you experience situations that edify your humanity, your good will and those who example that toward and with you and others. Your world of personal and professional relationships is full of desirable and undesirable situations, right? If you could determine a ratio of desirable to undesirable situations, what might it be? Are you satisfied with that? Is it possible to change that ration for the better? Do you want to? When? Imagine the results of changing your perception just slightly. It’s hard to shift your emotions, how you feel, when the situations have emotional triggers that take you out of the sense of continuity or flow, right? Sometimes we have moments of just observing the situation for what it is, completely removed from our personal emotional state and/or view of the reasons for it happening. That is a very powerful position and full of possibility. Possibility of what?, you might ask. We can grow in compassion and understanding when we are able to disengage our own emotions and our attachment to the outcome of the situation. It is what it is and it will resolve according to the emotions and perceptions of those in it. Does that make sense? We’ve heard about the notion that when you change your view, your perception, the world changes automatically. Imagine what an attitude of gratitude for the challenges we face can do for changing perspectives. It frees us from the emotional turmoil often associated with undesirable results. It also allows us to refocus on desirable outcomes and work toward them instead. A lack of communication is often the culprit as well. Too often we engage situations with unspoken and unfulfilled expectations that affect our internal engine, so to speak. Instead of running efficiently we choke and sputter because our supply of fuel is diminished. So it is with communication. We are often hindered by our fear of rejection or resistance, so we remain quiet and then walk away feeling emotionally damaged. How does that help? One simple thing can make all the difference in the world. It may feel scary at worst, but at least uncomfortable, yet we simply must open our mouths and say what is on our mind and/or heart. It might stir others and cause a disruption in the perceived flow of the situation, but the result will take the outcome to a new height in relation-ship building. In effect, you’ve just created another level of transparency. What happens when people know more about each other and the situation at hand? Can they deal with it more effectively? Does it offer opportunity for achievement beyond the previous constraints? I would venture to say that, in nearly all situations, there is a sense of gratitude that things were spoken that everyone was feeling but no one was willing to offer for discussion. So, in conclusion I would like to offer and even suggest that when you feel tension in a situation rather than allow it to continue, you might engage an attitude of gratitude for the opportunity to help make things better for everyone. Beyond the resistance or turmoil it may create, temporarily, you’ll garner a deeper respect for yourself and from others. Remember.. Your attitude determines your altitude. Thanks for letting me in today. Have a Happy Thanksgiving! another view of the Higgs-boson, formerly known as the GOD Particle. The GOD Participle? What the heck is that? I’ll get to that in a moment, but I want to keep you guessing for now. Meanwhile, I’d like to take a look at the infamous ‘GOD Particle’… Higgs-boson as it is known. I’m asking you to join me in an exploration of another perspective of possibility that is perhaps way outside the box. A hypothetical, massive subatomic particle with zero electric charge. The Higgs boson is postulated to interact with other particles in such a way as to impart mass to them. It is predicted by the standard model, but has yet to be isolated experimentally. The Higgs boson is named after its discoverer, British theoretical physicist Peter Ware Higgs (born 1929). Can’t matter just inherently have mass without the Higgs-boson confusing things? Not according to the standard model. But physicists have found a solution. What if all particles have no inherent mass, but instead gain mass by passing through a field? This field, known as a Higgs field, could affect different particles in different ways. Photons could slide through unaffected, while W and Z bosons would get bogged down with mass. In fact, assuming the Higgs-boson exists, everything that has mass gets it by interacting with the all-powerful Higgs field, which occupies the entire universe. Like the other fields covered by the standard model, the Higgs one would need a carrier particle to affect other particles, and that particle is known as the Higgs boson. Now, that might give you at least a partial working knowledge of what the excitement is all about for the ‘discovery’ of the particle. Here’s the really interesting twist, though… There was no particle, but the ‘decay’ of which was determined to reveal the existence of the particle even though it was never ‘seen.’ I personally find the whole quantum physics perspective a little far-fetched. Science is supposed to be about hard facts and repeatable results. I’m fairly intelligent and it’s hard for me to wrap my head around a field yielding a particle that transmits mass. It reminds me of the discoveries at Los Alamos that revealed the scientists observing experiments actually had an effect on them. So thought seems to affect the process, but doesn’t necessarily carry mass with it, unless it’s just baggage from a belief system. 🙂 At any rate, it just seems counter-intuitive that matter or mass is transferred via some theoretical particle. Furthermore, it would seem even more preposterous that an explosion would produce any such particle. That explosion was the result of ramming two protons together at near-light speed. These ‘hadrons’ theoretically fuse together when collided and form another even smaller particle, a remnant. It’s like slamming two oranges together at breakneck speeds and having a fused seed as a result. That really makes a lot of sense, doesn’t it? Perhaps it does. With all the technical jargon and mathematical equations, the analogy gets lost in the intellectual vocabulary that only scientists supposedly understand. Okay, so now that we’ve made some progress regarding the ‘understanding’ of the Higgs-boson perhaps there is another explanation or even discovery that has gone unnoticed by the scientific community. It would seem that the lenses from which they are looking might be a little skewed or undervalued by ‘what’ they are look for instead of acknowledging what is really being ‘seen’ from simple observation. The discovery is just as magnificent, but may come as quite a surprise if they are willing to look. Of course I could be totally wrong, but I think the logic will hold up at least for the purpose of sharing another possibility. Let’s start with just the observation of the explosion. It is at a sub-atomic level. In the electromagnetic spectrum and according to M-Theory, there are multiple dimensions or layers of ‘reality’ as one might perceive. The notion seems to be consistent with all the layers of bandwidth and understanding of the various frequencies that have been associated with different types of ‘rays’ whether from a scientific point of view or from an ‘ascended master’ POV. The latter involved varies ‘rays’ of consciousness instead of electromagnetic notations. Both probably describe the same thing. So, this explosion then may produce a rip in the fabric between said ‘dimensions’ or ‘rays’ that is observable as the ‘decay’ of the particle in question rather than indicating an actual particle. The ‘decay’ is perhaps the reverse or ‘repair’ of the rip instead. Rather than proving the ‘particle’ theory it may indeed prove that M-Theory is indeed true and yet unseen in this example because the eyes that were looking had a different spectacle in mind. Like I said, it may not be true. However, I think it at least is worthy of some further consideration. a word formed from a verb (e.g., going, gone, being, been ) and used as an adjective (e.g., working woman, burned toast ) or a noun (e.g., good breeding ). In English, participles are also used to make compound verb forms (e.g., is going, has been ). The definition gives away the answer. It’s quite simply the most elegant word in the English language, too. In order to observe the process of how I came up with the perspective that allowed me to present an alternative view of the Higgs-boson notion I had to be in a particular place. In the presentation of this place across a plethora of fields it is simply known as…. BEING. That is the GOD Participle. Perhaps you can explore it further on your own. I’ll be writing about it more in an upcoming book by the same title. Like the separation of people that religion promotes, scientific perspectives are no different. It would be amazing to witness great minds step back and consider the possibilities their discoveries may indeed provide for mankind’s evolution toward harmony among people and planet. Thanks allowing me to rent space in your head for bit. I hope you found value in the duration of our shared space. I started this article just after the Winter Solstice of 2012 and set it aside. Today I was stirred by a newsletter from an old friend, J. Hamilton, and was inspired to respond. Upon reviewing this material, I found I’d already written a response to our cognitive challenges. Funny how that happens sometimes. Something caused me to put it on pause back then and leave it as a draft. Now, my work was made easy and with minor additions, fits the need. The response is to the perception that we are unable to respond to the problems we face as a planetary civilization. I know folks mean well in their display of contradictions, the outer display of their cognitive dissonance, unaware of how transparent it is and in denial of its reality in how they communicate. They don’t mean to confuse and obfuscate. Right? We separate through conspiracy and phenomena transmitted through the grape vine, the Internet. Few check to see what the vines are growing in and whether the quality of their fruit is even worth tasting, let alone ingesting. So what of the dark cabals? What of the believers? What of harmony among people and planet? By that I mean the juxtaposition of the good vs. evil governments. WE all live and work in the same world here on Mother Earth, right? Stop being a spectator stuck in front of the computer or the tube, believing and passing on propaganda meant to continue the obfuscation. Millennials are forcing evo-leaps in social architecture that challenge authority on every level, from transparency in personal and professional environments to feeling entitled to live in a world free of fear (at least from each other) to exploring their celestial heritage as a natural part of maturity. They don’t see good or evil. They are more Taoist in their philosophy; they witness desirable and undesirable results. Perhaps we [humans] are exactly where we need to be and that humanity or the world’s population is perfectly situated for the next phase of natural selection or what we might even call ‘evolution’ in the sense that we must grow or die. Our previous methods haven’t worked, but we keep trying to do the same thing and expect different results. The U.S. has led the way with behavioral patterning on a societal scale that affects the global village. It’s okay that we didn’t know the long term effects of our earlier behavior. Is there a ‘pause button’ that we can collectively push so that we can get a grip on learning how to get along? Father Sky looks upon Mother Earth and the Children of the Sun wondering when the suns will shine and show in humanity’s progression. The world is changing, for some way too fast and way too slow for others. It is changing and as arduous as change is, we must meet the challenge in every moment and rise to our best behavior. Seems we need to create a new myth, embrace a spirit of truth, live as one people. We know the truth; the effects of love. Isn’t it time we lived it? “Easier said than done,” you might say, and you would be absolutely right. Is there anything more appropriate or called for in the New Time? The classic drama of ancient legends and myths plays itself out in the physical world on myriad levels, yet we know not how to walk between worlds, recognizing reflections of ourselves in each and embrace both, balancing our own polarity. Is it so necessary to use terms that imply separation, without understanding. We know better. What affect is truly in place when everything is part of the ONE REALITY we share? We can imagine a Mobius strip as the spirit/mind of our soul being, two twisted circles of dynamic energy becoming one as we traverse the path, remaining unaffected. If you got that, the rest is ‘easy’ on the road less traveled. The protagonist and the antagonist are ever present in the minds of humans, perceiving the world around them from this dualistic point of view. “Trust God, but lock your car,” is a good one. Knowing what we do about the affect and effect of thought on our reality, the obvious question arises: What affect would the awareness of this natural polarity (apparently) have on an individual? On partners? On groups? On organizations? On Dancer? On Prancer? We sure like Rudolf for his light-heartedness. Imagine what the Giver Of Data could offer our perceptions; reality expanded beyond our wildest dreams. Can we conceive, perceive and receive? As one walks between worlds, seeking ways to bridge them for the benefit of all, this place of observing polarity is quite useful. It allows one to ‘see’ and ‘hear’ as a conscious being; aware of the disturbance, but not bothered by it. What does a viewing of life through the lens of a belief system offer? Does it allow one to walk between worlds and choose where to enter as prompted by the inner knowing of leadership by conscience, the core of ethical and moral behavior? Probably not; fear-based behavior is a common response to something outside [it], even manifestations unknown spark fear in believers. Ghandi offered this, ‘Be the change you wish to see in the world.’ It is important to be aware of the polarities in human nature and in order to ascend; we are compelled to act in LOVE. What does that mean? We open up, become vulnerable in our trust guided by discernment and lose whatever fear necessary to surrender to the indwelling spirit. True love evolves through relationships and into beneficial collaborations that synergistically elevate the status quo on both sides in the dualistic framework. It is the willing acceptance of ‘what is,’ the reality of each desire for a ‘better’ world. It is only the view of how to accomplish this that is incongruent. Einstein said we cannot fix problems with the same thinking that caused them. We can opt for a better view, a new living awareness. What would happen if this awareness brought about the ability to transcend the current conditions? What if life could get better simply by shifting views a bit? What could it hurt, really? I’m reminded of the piece on the wall next to my desk that goes like this, “In the spirit of Zen everyday life is the contest. There must be awareness at every moment – getting up in the morning, working, eating, going to bed… that is the place for the mastery of self.” And I suppose it is in that awareness that we seek balance, to understand the root of our dualistic predilection and to change it – returning to faith, love, trust and all things good. Sure it won’t be an easy journey or happen in your physical body this time around, maybe, yet our reunion with Creator as Divine Kin around the world is inevitable. So why fight it? Perhaps the Star Families are maintaining a distance, communicating with a few covertly while displaying evidence of intelligence (crop circles) so obvious we’d be fools to deny it. True leaders of the 21st Century will work for the benefit of mankind by learning how to achieve balance between the worlds as neither one can be destroyed – harmonized not simonized. It is not clear what results you can expect, only that we are called to action with pure hearts and purposeful passion to assist in this global transformation toward harmony among people and planet. Recent events and continued hardships only edify the real need for change. Masses only change when enough individuals do, proving their notions through demonstrable methods and results. It’s far from easy or simple, yet it is easy and simple. The paradox of truth prevails once again. Wow, what a concept!